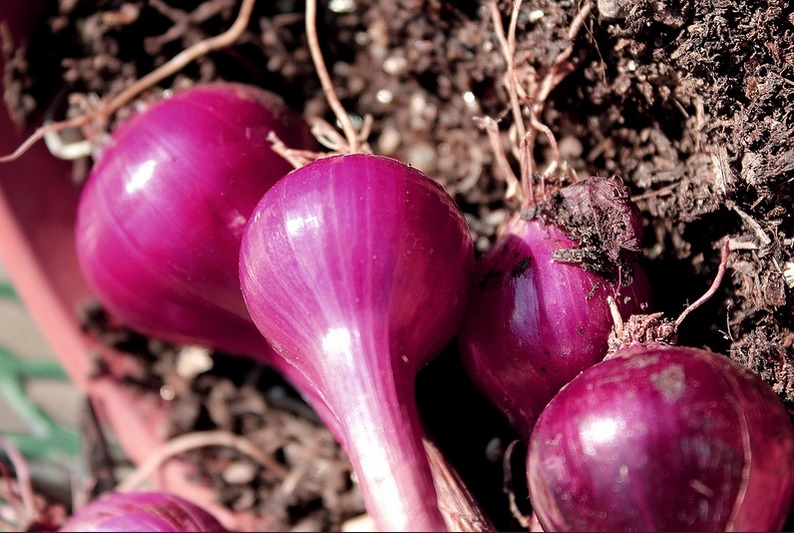 These onions grew in a photographer's garden. There are some advantages to investing in ecological agriculture rather than conventional agriculture. Organic commodity prices tend to be higher and more stable than those of conventional commodities. “Many farmers that Dirt Capital works with sell products directly to consumers, thereby capturing much more of the margin to consumer than farmers selling wholesale,” Israelow said. Israelow said his business model operates similarly to a small real estate private equity fund, with a structured sale to the farmer within 5-10 years. Investors contribute to an LLC that pools funds to purchase multiple farms. The company purchases each farm for a specific business which signs a lease-to-own agreement with Dirt Capital. The LLC collects rents on the leases with the intention of selling the farms to the farmers. Investors receive distributions of lease rents and proceeds upon sale of farms. Land trusts participate in many of these projects through the sale of conservation easements, Israelow said. So far, there are not many opportunities to monetize the ecosystem services that Dirt Capital and its farmers provide, Israelow said, but he hopes this market will continue to develop. 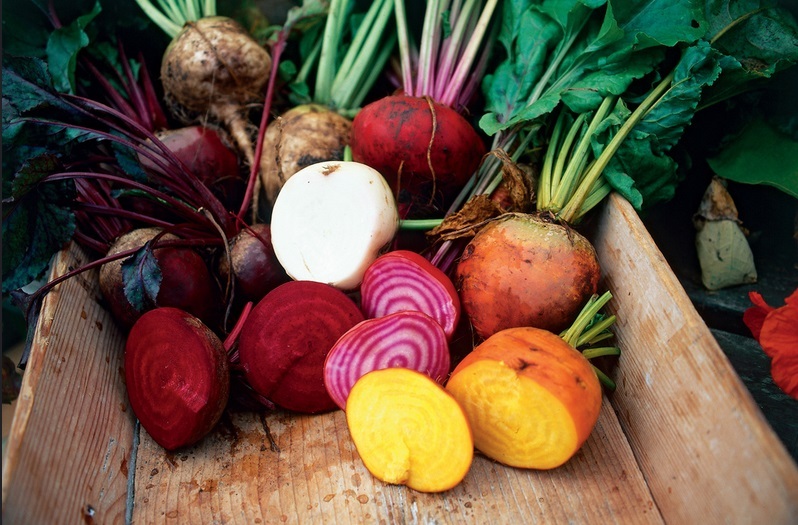 These root vegetables were photographed in Sweden. When farmers apply for financing, Dirt Capital Partners works with them to review their operating histories, create business plans, create budgets, and evaluate potential lease terms. The company also interacts with university extension programs, land trusts, regional economic development organizations, and farm viability programs. Dirt Capital Partners encourages farmer-to-farmer mentoring. “Dirt Capital only works with existing farm businesses with established track records,” Israelow said. “The company also works with retiring farmers looking to transition their land and business to younger farmers.” Some are early-career farmers seeking to find a permanent ‘home farm’ while others are looking to expand their operations by buying neighboring farms. The terms of the leases require that manure be managed using best practices from the United States Department of Agriculture Natural Resources Conservation Service (NRCS) in a way that improves pastures and site quality. Removing manure, soil or nutrients from the sites is not allowed. NRCS funding can help farmers with several conservation practices including manure management, cover cropping, and efficient use of water for irrigation, Israelow said. Soil testing can provide recommendations to improve farms’ health and fertility. This often involves increasing the amount of organic matter in the soil. The leases require farmers to test their soil using with a consistent lab and testing method. For pastures or hay land, it should take place every three years. For cropland and high tunnels, it should take place every year. Farmers track the extent to which the soil is bare. It can be bare for six weeks at a time and 12 weeks per year, at most. Using mulches and crops helps to keep the soil covered. Organic dairy farmers feed their cows hay that is certified organic. They use grazing techniques that “are good for the health and regeneration of the soil and benefit broader ecological diversity,” Israelow said. Although farms are not required to be certified organic unless it essential for their business models, Dirt Capital’s leases have high standards for natural resource management that promote animal welfare, ecological diversity, and soil health and regeneration, Israelow said. Are other organizations entering the market? Israelow said there are several investment companies talking about farmer land access and/or sustainable farming practices. The ones he knows that have put money in the ground include Iroquois Valley Farms, Farmland LP, Vilicus Capital, and Northeast Farm Access.